The Timex Sinclair 1000 is the North American version of the Sinclair ZX-81, from British based Sinclair Research Ltd. They are nearly identical, except for the name on the front, and minor motherboard layout differences. 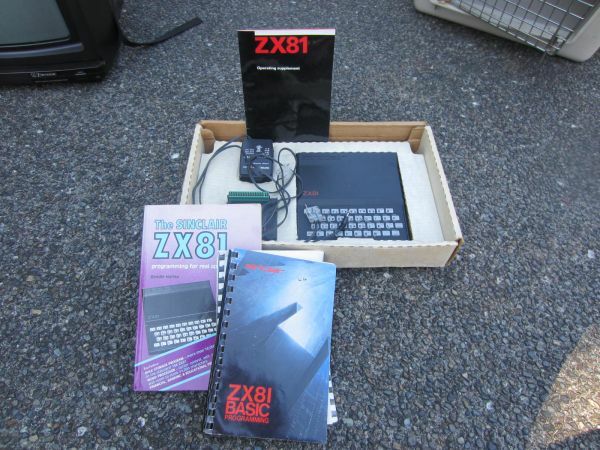 The first Sinclair computer was the ZX-80, released in 1980 for $200.00. It was still very popular when they came out with the improved ZX-81 in 1981. By mid 1982, Timex was selling the ZX-81, renaming it as the 'Timex Sinclair 1000'. Perfect collectors computer, in original box with manuals.